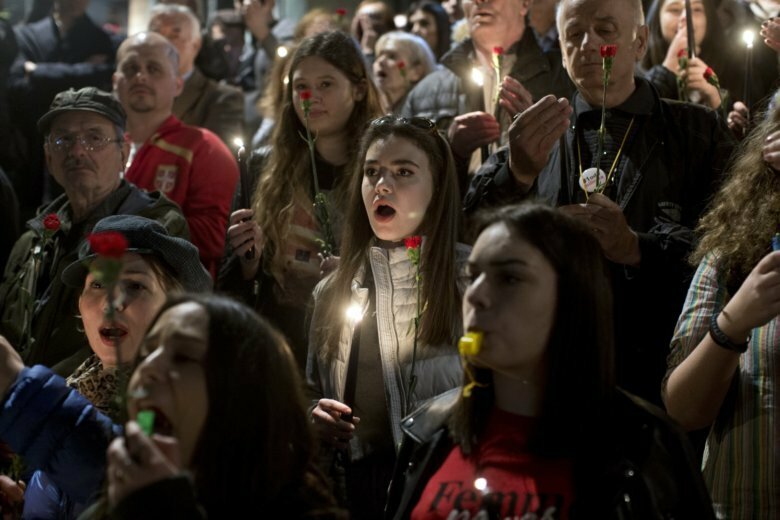 BELGRADE, Serbia (AP) — Thousands of people have rallied in Serbia against populist President Aleksandar Vucic after political tensions soared last weekend when protesters burst into the state TV building angry over the station’s reporting that they view as biased. Whistle-blowing crowds on Saturday returned in front of the public broadcaster’s headquarters in downtown Belgrade but the gathering passed without incidents. The incidents were the first in months of protests that started after thugs beat up an opposition politician in November. The demonstrators are demanding Vucic’s resignation, free elections and media and more democracy.